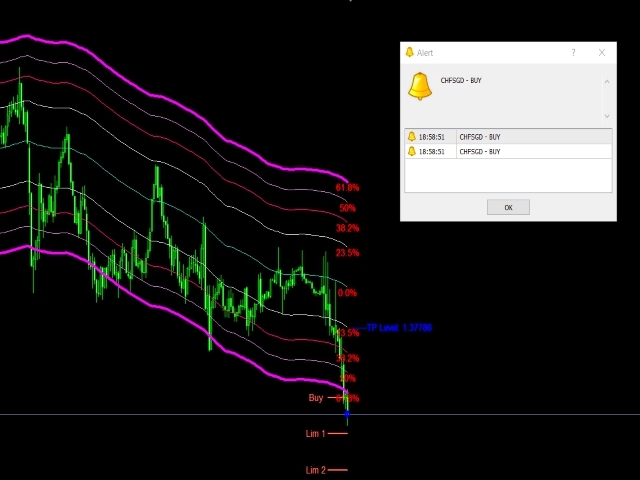 The GRABBER indicator parameters are set by default for testing and trading on the currency pair AUDNZD. M5 timeframe!! 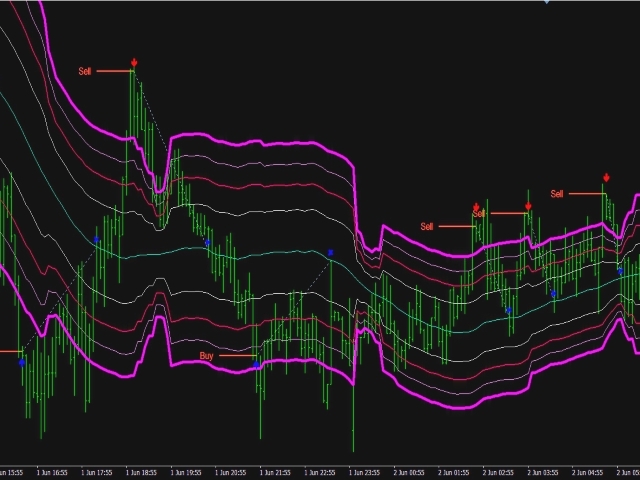 GRABBER is not just an indicator, but a real trading system for manual scalping, in which several author’s technical indicators are combined at once for analyzing the market and defining trading goals. Step 1 - using the FIBO CHANNEL indicator, the system builds a price channel, the boundaries and main levels of which are determined using the Fibonacci math formula. Step 2 - using the GRABBER-1 indicator, pivot levels are determined outside of FIBO CHANNEL. Step 3 - using a special filter, the distance of the pivot level from the borders of the price channel is measured. Step 5 - as the quotes move, the GRABBER-2 indicator trails the Take-Profit level, which makes it possible to close the deal at the most favorable price. To obtain the best trading results, it is recommended to use trading accounts of the ECN type with a minimum spread. Repaint ! If move TF of charts signal will move or disappeared . Idea is good,like this . it would be nice to see the signals back 2..3 days ..
it doesn't matter how profit or loss went, but it serves to evaluate. Amazing Product!! This is the second indicator I got from Igor! I Got the price action Diver as well as the Grabb indicator, I put them on two separate MT4. Both indicator has a completly different Strategy and both of them are extremly profitable IF YOU use them properly. Make sure you find a realizable WINDOWS VPS!!! not the mql5 or forex VPS!! then you will get the notification on your phone right away!! PLEASE!!! make sure use pepper money magnet. Also sometimes you will get 3~6 signal's/notification in one day so make sure you have enough balance on your account or don't over trade on each signal because you might end up missing the better trade. This indicator is very useful for a new trader as well because its very simple to understand the concept of the strategy and how to use this indicator. At the same time make sure you learn about Hiper pairs and slow-moving pairs, some pairs such as JP or GBP can move lots of pips in few hours and might hit your SL before hitting the TP. Some pairs move so slow so might take a few days to get the TP signals so you need to be patient about it as well. For those you are thinking to buy this indicator It is your DUTY as a future trader to learn the basic skills of the chart pattern, price action, and sup/resistant etc.... If you don't know anything about trading then PLS educate your self first before buying any indicator. I see many bad reviews on outstanding indicator like this because a new trader is just taking every single signal and end up losing money because of a lack of education and money management. I don't want any people who put any bad review on this indicator just because you lost money, this indicator can bring a huge advance in your trading career if you have the right mindset and knowledge about trading. I have been trading manually on my own for a long time and adding this indicator increased my Egggee.. If you are new to trading make sure backtest this indicator on Demo to make it more familiar with it first. I honestly this indicator is worth more than $70 because it provides an extremely accurate signal as well as the person who made this indicator, Igor is very helpful and informative to all kind of question you will have. Some people ask non sense question because they don't read the manual. PLS read the manual first 3 times and if you can't find the answer then ask him because I feel bad for Igor (wasting time). Igor is extremely passionate about products he made so this indicator was not made on base on making money motivation. MANY MANY MANY indicators here on MQL5 has more then 100~500+ 5 start review but make sure do your research about that product. Those provide motives is to make quick money by providing a useless indicator, May of them give you a free extra indicator if you give them a 5-star review. Just think about it?? If provide is truthful and confident about his/her product you will never be asked to give a 5-star review for an exchange of free stuff. I had a deep conversation with Igor and I can tell you that he's a very talented, passionate and highly skilled trader. This indicator might have few reviews but you are paying for premium quality of a product. Thank you Igor for amazing product! Awesome Indicator! 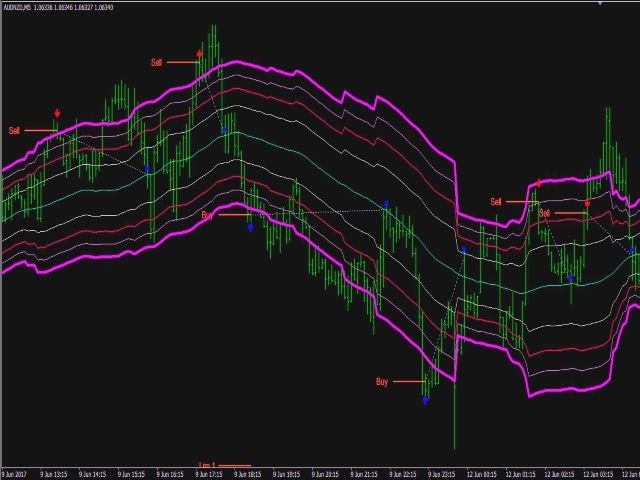 I get great results using 1H Timeframe. Igor, it would be awesome if you could also include mail notification. Thank you very much! Best indicator yet to scalp. Thank you for push notifications! One of the best indicators i've bought......very good!!! Viele angebotene Indikatoren, haben das Problem ein Signal zu spät abzugeben. Der Grabber sticht hier deutlich positiv heraus. Er ist sehr zuverlässig und unterstützt sehr gut das manuelle Handeln. Ich gebe 5 Sterne, hervorragende Arbeit Igor! Danke auch für die empfohlenen Parameter. This is one of the best indicator i ever use, Igor is helpful and guide me well on how to fully utilize Grabber. For those who like to scalp & only want to trade with 1 indicator, this is the one for you.